Neal Griffin is a twenty-five year veteran of law enforcement. He's seen it all, from routine patrols to drug enforcement to homicide investigations, from corrupt cops to men and women who went far above and beyond the call of duty. 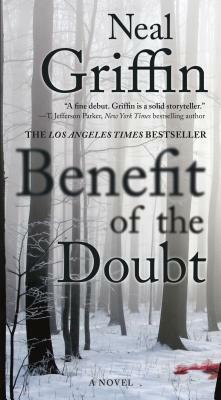 Benefit of the Doubt is a gripping thriller that exposes the dark underbelly of policing in small-town America, where local police departments now deal with big-city crimes and corruption. Ben Sawyer was a big-city cop, until he nearly killed a helpless suspect in public. Now a detective in the tiny Wisconsin town where he and his wife grew up, Ben suspects that higher-ups are taking payoffs from local drug lords. Before long, Ben is off the force. His wife is accused of murder. His only ally is another outcast, a Latina rookie cop. Worse, a killer has escaped from jail with vengeance on his mind, and Newburg-and Ben Sawyer-in his sights. NEAL GRIFFIN grew up in the kind of town he writes about. For many years he has been part of a police force in southern California. He often speaks about law enforcement issues to civilians and fellow cops. Griffin has participated in special training at FBI headquarters. Benefit of the Doubt is his first novel.